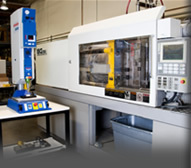 SR Plastics, Precision Injection Molding Company is an expert provider of injection molding services in Southern California. Our extensive skill has been developed through years of experience in the manufacture and production of precision injection molded products and components. We aim for maximum efficiency and quality of our precision plastic products. To achieve those results SR Plastics offers a full range of in-house capabilities, including engineering tool design, production, and inspection. In keeping our injection molding products in-house, we are able to monitor the production for our clients’ specific standards and can ensure all customizations are accurate. SR Plastics emphasizes a hands-on approach to our injection molding processes and rigorously works to meet our clients’ project requirements. 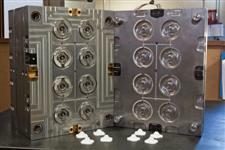 The quality and type of engineered plastics used in plastic injection molding is key to effective design. SR Plastics understands the importance of the materials used and uses only the best variety of engineered plastics from a number of industry leading vendors. Through using quality plastics we give our clients targeted and customized plastic injection molded products to fit their exacting design parameters. 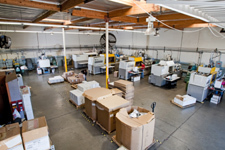 SR Plastics is a leader in Southern California injection molding, and has over 50 years of experience in prototype injection molding, molding engineered materials, and injection molding tool design. 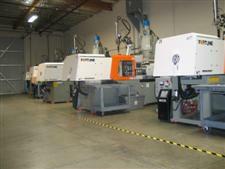 We can provide consulting on your injection molding and secondary operations questions. Contact us with your specific material requirements and applications for our professional recommendation. As a value-added service, SR Plastics, Precision Injection Molding Company offers management of your inventory needs, with a vendor-managed inventory program. We can manage the existing quantity of your components currently in stock which eliminates to need to monitor and reorder parts when inventory is low. Whatever your requirement or need in precision injection molded products, contact SR Plastics today to discuss your needs.